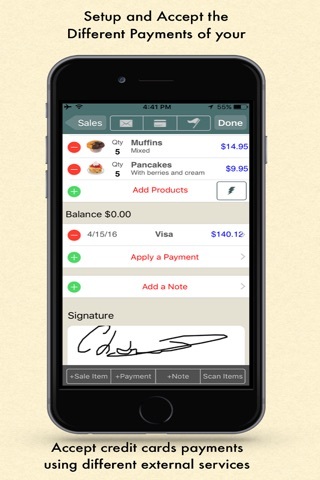 Ring up your sales, expenses, and accept payment right on your iPhone, iPod Touch, or iPad. 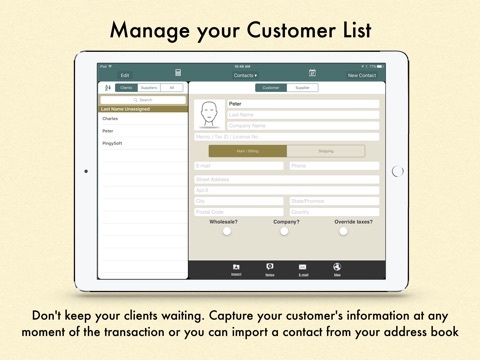 Instantly email your receipts or invoices directly to your customers. Bookkeeping no longer has to be a chore. 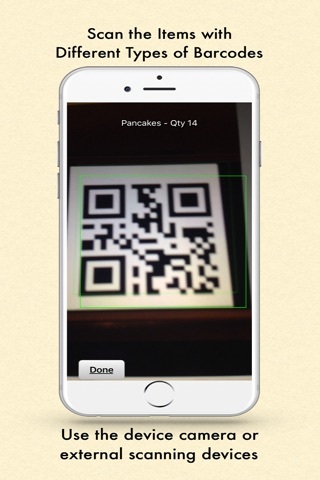 Ring it Up is the portable point-of-sale app for the "Merchant on the go." 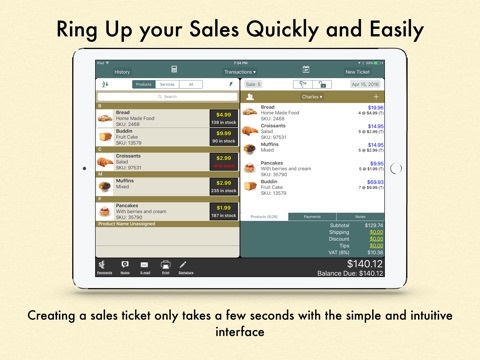 Ring it Up makes the job of tracking your sales and expenses a snap. 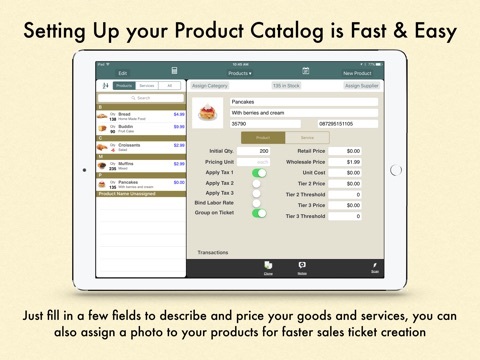 The simple yet intuitive user interface allows you to easily create a catalog of goods and services which are then added to a sales ticket or invoice with only a few taps on the screen. Collecting payment is just as simple whether you are accepting cash, checks or integrating Ring it Up with one of the 5 supported Credit Card processing apps (see below). - Blue Bamboo P25i and P25i-m receipt printers (Connects via Bluetooth). - Infinite Peripheral's Linea Pro 4 scanners/credit card swiping cases. - Koamtac KDC200i & KDC300i bluetooth barcode scanners. * Ring It Up works with all features unlocked for the first 10 transactions. Once the first 10 transactions have been used, you must purchase one of the upgrade packages to continue to create transactions. - Apply discounts on a per item or per ticket basis by amount or percentage. - Send clients a quote and convert your quotes to a sale when your bid is accepted. 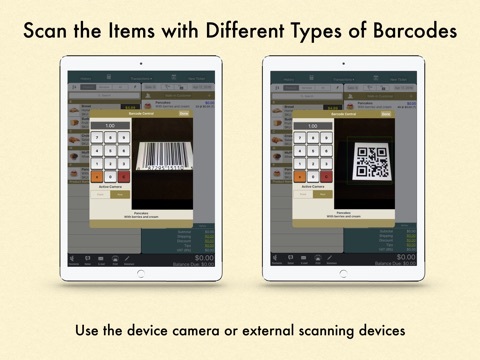 - Capture photos of your Catalog items, Contacts, or Expense Receipts. 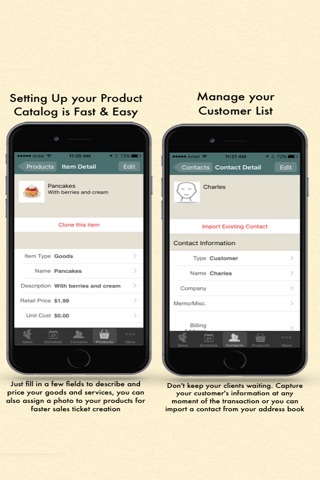 - Unlimited Sales Tickets, Purchase Orders, and Quote transactions. - Printing: Both AirPrint, Star Micronics Receipt Printers, Blue Bamboo Bluetooth Printers and Printing via Print Central, Print n Share, and other printing apps created by Eurosmartz Ltd.